The app Bamboo Spark associated to the smart folio Bamboo Spark is on ITS. You need iOs8 for your iPhone and last android system on your android device. Spark your imagination. Capture your notes and ideas with the simplicity of pen and paper. Push a button and have your notes to the cloud instantly. 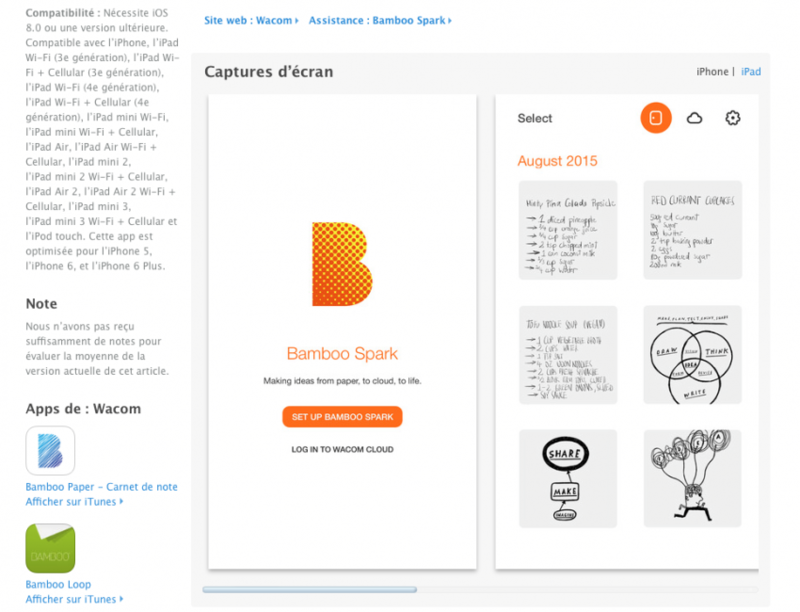 Use the Bamboo Spark app to browse and manage all your Bamboo Spark notes. You can delete, rotate, split and combine pages to organize your content, and even do simple editing such as erasing and adding strokes to a notes page. 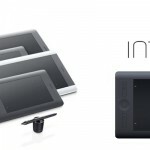 The fully integrated WILL™ universal ink and Inkspace let you easily access your ideas anytime from everywhere for editing, collaborating, sharing and organizing. 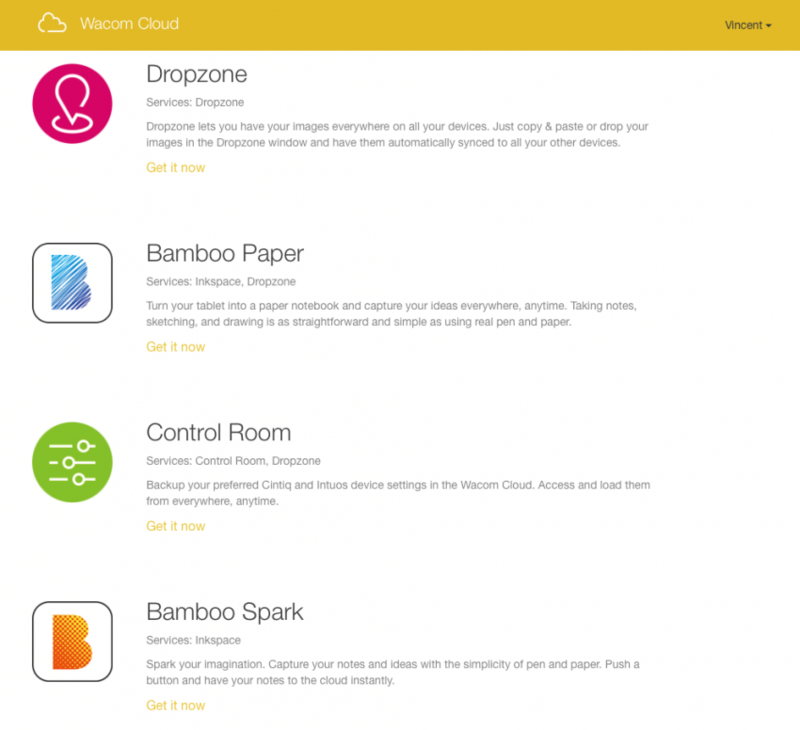 Sync your notes to Wacom Cloud and your other compatible iOS or Android devices running a Bamboo Spark app. Have your great ideas kept safe and easily access them across devices via Inkspace web portal. Share your content and ignite your ideas. Export as WILL files and continue editing the notes in their native format in Wacom’s Bamboo Paper app (available for free for iPad, Android tablets and Windows). Share your notes via email, apps and cloud services installed on your device such as Dropbox and Evernote. Send your notes as PDF or JPG file to any application supporting those files for editing, archiving, sharing and collaborating. If you connect your account to your Cloud, you can see that.